An inbound link, or backlink, is any URL, video, or image on a site other than yours that will bring a user back to your site if clicked. A backlink profile, then, is the compilation of all of these mentions from around the web. Links pointing to your site from other websites can improve your traffic and rankings if they are from quality, authoritative sites. Links from low quality or spammy sites are not following Google’s link quality guidelines and will likely hold your rankings back, or even get your site penalized. In September of 2016, Google rolled out what Moz calls a “gentler” Penguin algorithm who’s purpose is to devalue lthese low quality links instead of penalizing sites that have built them in the past. However, as recently as March of 2017 there were still SEOs with concerns that penalties still exist. According to Google’s Link Quality Guidelines, inbound links that will be devalued are, links from spammy, low quality sites, exact match anchor text, blog comment links, or link farms to name a few. Now let’s get into some of the ways in which you can find these inbound links and monitor your profile. Many paid inbound link analysis options have free trials so you can see what you’d get for opting in for one of them. You can pick one that is right for your size and needs- most paid options will give you a lot of good data to help you make the right decisions on your backlink profile checker. A good place to start is to take a look at Google Webmaster Tools. From there you can download a list of links that Google has for you. They do not always have the most up-to-date history, so using a different backlink checker can be useful to get the full picture. Since this option is free, it does take a while for the backlinks to pop up. It’s not too long however, if you’re the patient type it is worth the money ($0). It will only check your first thousand backlinks, so if you have a larger profile, you’ll have to find another way to see all the backlinks. The search has to be complete before you can search the tabs, but for a preliminary report you’ll find everything you need here: the URL of the page with the link to your site, the anchor text of the link, and a few other metrics such as Pagerank, and OBL, which stands for outbound links. 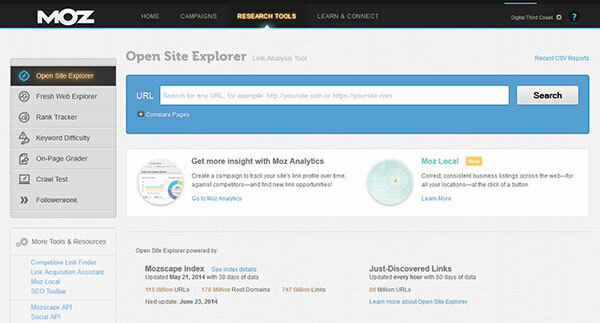 Once the report ends, you can click on “All External Backlinks” to see all the sites pointing to your site. You can also browse the other data provided, and even export to a .csv file to look at the data in a spreadsheet. This way if you are going to make any changes to your backlink profile, you can keep track of the changes in the sheet so you can reference them later. 2. 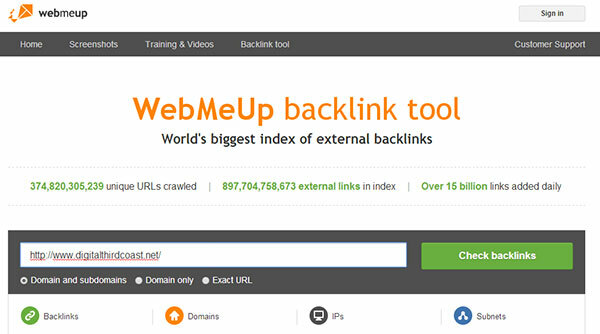 Web Me Up – Unlimited Free Trial For 3 Reports Per Month. Once you’ve completed your free signup you can type the domain of your URL into the search box and click “Check backlinks.” When the search finishes it will take you to a summary screen. 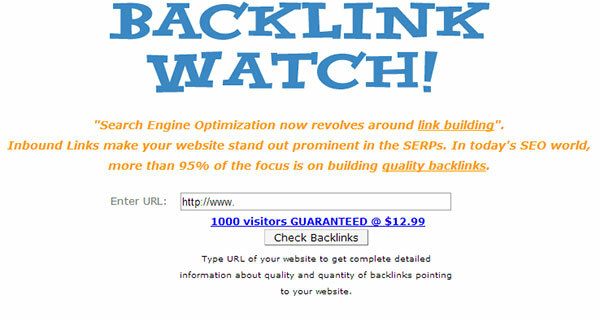 We want to take a look at the “Backlinks” section. The columns are the URL of the page your link is on, the anchor text and URL that it points to, if the link is “dofollow” or “nofollow,” and when it was first found. If you like the service you can pay for more metrics but this is a good base that will tell you what your backlink profile is about. Cognitive SEO features lots of metrics and is recommended for sites that may need to recover from a Google penalty. Can distinguish good links from bad ones and helps you keep track of the ones that you’ve contacted or disavowed. When you type in your URL into the link explorer and hit search, you’ll see a result like this with a breakdown of all your backlinks. This also includes a profile authority as well, which shows you the percentage of good, average, and low quality links that exist in your profile. If you click on the “Referring Domains” tab you can see only the external backlinks to your site. Once you register for your free account you can enter your domain and hit search. There are many metrics and different options to choose from, but for the backlink profile you just want to focus on Referring Domains. Ahrefs have a lot of quality metrics to show: domain rank, Alexa rank and backlinks count, and the domain of the backlink. Once you enter your domain into the URL box and hit search you’ll see the following details. From this screen you can filter by external links only, and even group domains together to only show the root domains and not cloud the picture by showing a lot of links from the same domain. You should have many internal links that point from one page on your site to another, this helps with relevance, but for this exercise we just want to focus on the incoming links from other sites. The columns show the URL of the linking page, the anchor text, Moz page authority and domain authority. Once you enter your URL, before you hit search you can choose between fresh index and historic index. 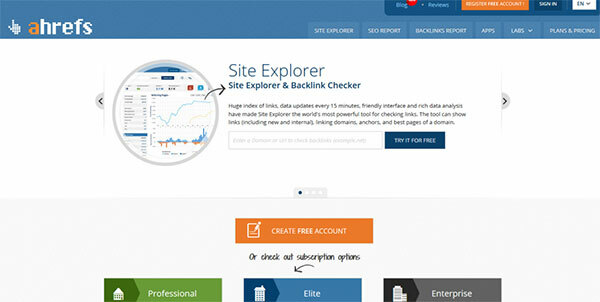 This allows you 2 different looks at your backlinks, and can show a more complete picture of the changes. Majestic gives your backlinks and shows new and lost links over time. You can also break down anchor text. 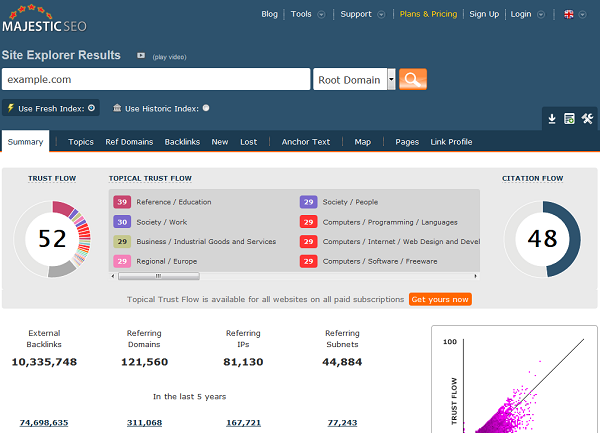 There is also a Trust Flow metric which can show you how authoritative your site is for the different categories that are set up. You can also create reports based on your backlink profile and choose the metrics you want to examine further. In review, if you just want a list of the backlinks you have, a free option or a trial works just fine. If you’re looking to track your backlinks profile over time or recover from a Google penalty, then one of the paid options might be your best bet. If you just need a few reports, you can get away with the cheaper plans and not have too much invested. Taking some time now to keep up with your backlinks profile can save you from any penalties that could potential undoing all of your hard work if spammy sites are linking to you. Save yourself the future time, money, and headaches by making checking your backlinks profile a regular habit and a priority in your digital marketing strategy. 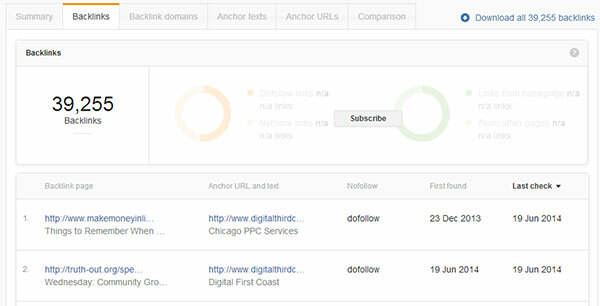 Want more information on backlinks and how Digital Third Coast handles SEO? Head over to our SEO services page and speak to one of our SEO experts. Previous Previous post: How Do Marketers Really Feel About Conferences? Next Next post: The Cost of SEO: Bring It In-house or Use An Agency?